...is that if you leave them in place for too long -- let's say for three years -- you end up with a nice new grove in the area. 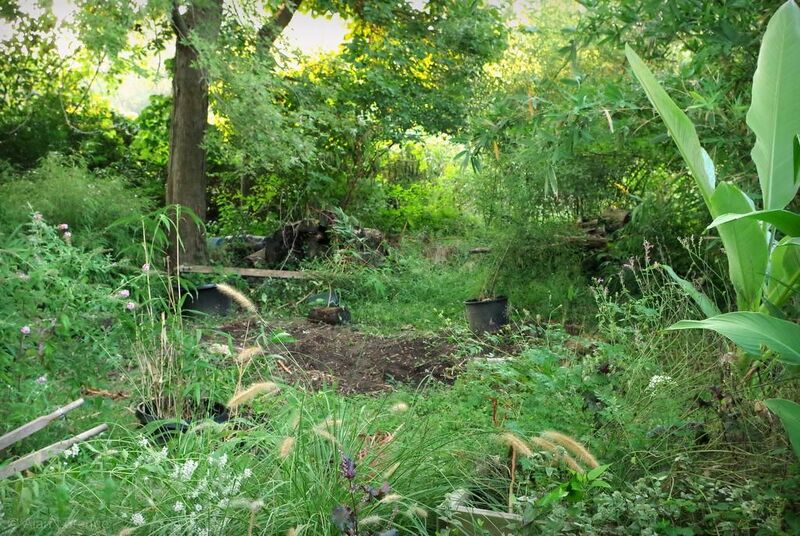 Especially if the spot in the garden you chose for them has some of the nicest, loosest soil because there was a mulch pile here a few years back. 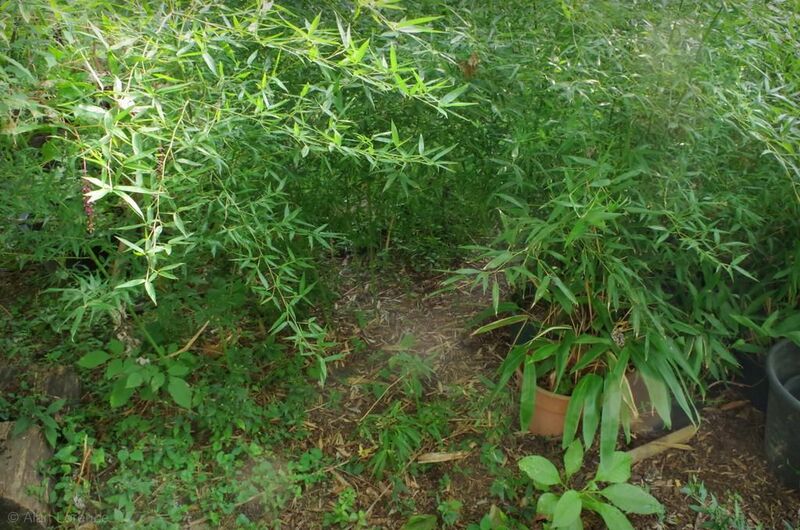 That's what I had here: a mixed grove of bamboo that has escaped from pots. It does not take long for a rhizome to escape through a drainage hole and run wild! 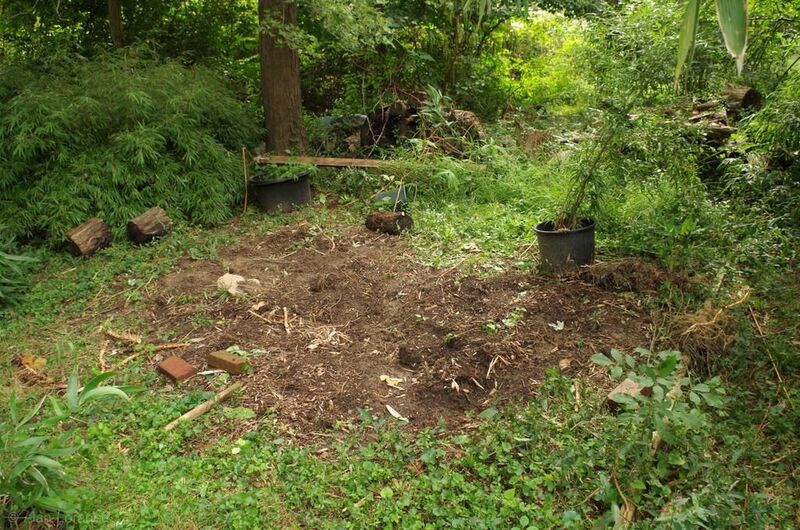 I've been putting this task off all summer, as digging would not be fun. 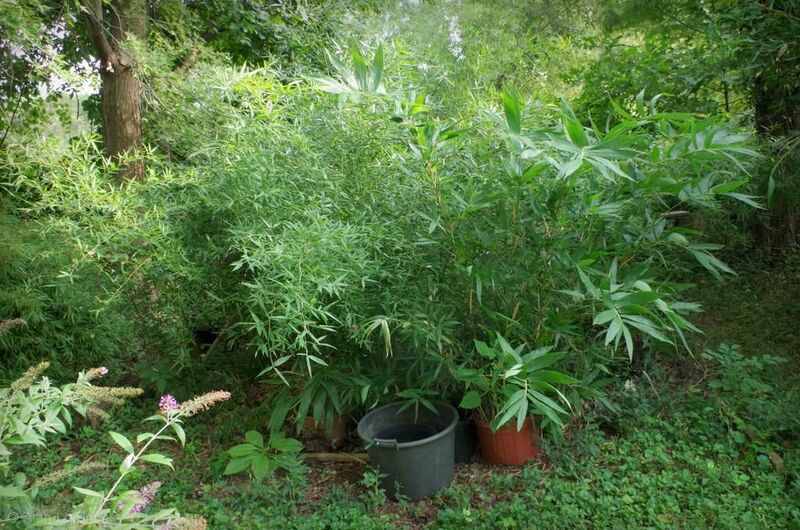 Luckily I was contacted out of the blue recently by an area bamboo lover with some questions about the bamboo species he was growing. 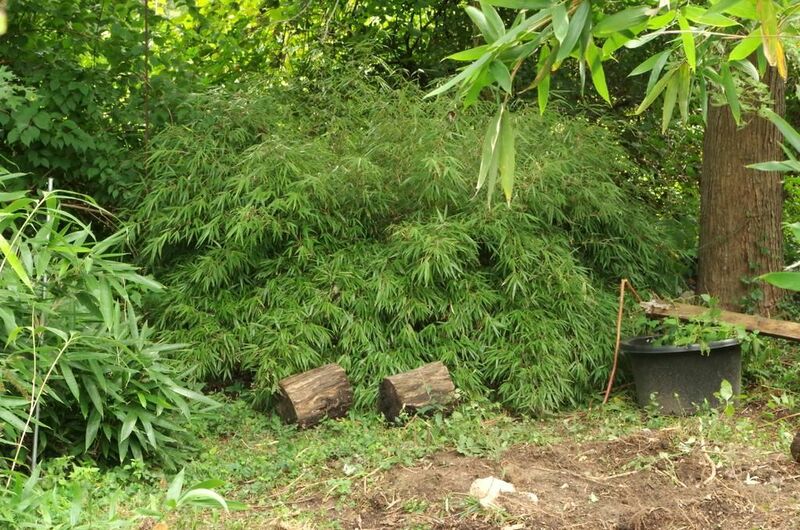 It turns out that not only was he looking to expand his bamboo collection, he was eager to help me dig -- and lived less than a mile from me! So he came over on Friday afternoon and we dug. It was exactly as miserable a task as I thought it would be as it was already humid that day but it started raining a bit as we were digging. 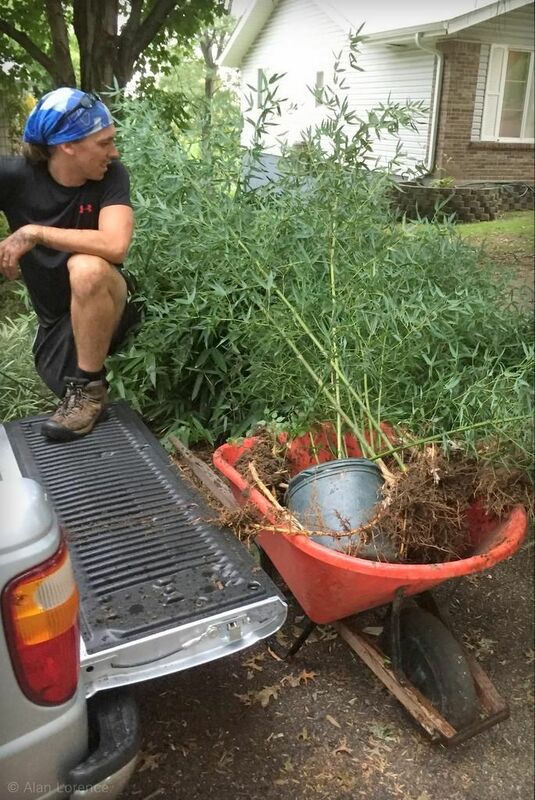 Jason learned a lot about bamboo rhizomes that day, and ended up with more bamboo than he expected -- I gave them to him in exchange for his labor. Since he lived so close we just loaded up my truck and I drove it over there. Don't think we could have fit any of this into his small car! This is the spot that will contain my large shed if I ever get around to building it. 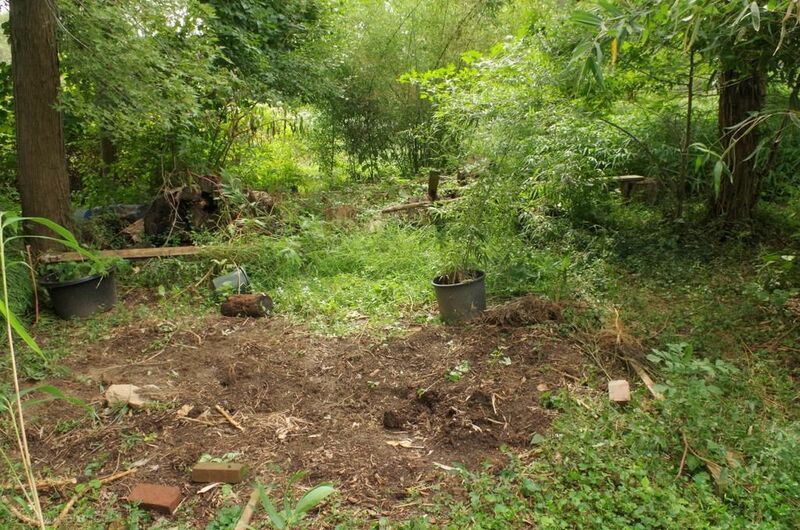 Lots of half-rotten logs will be moved into the wild strip and will double the clear area for the shed. I should get this cleared out once drier, cooler weather arrives -- sometime in the next couple of weeks I think. 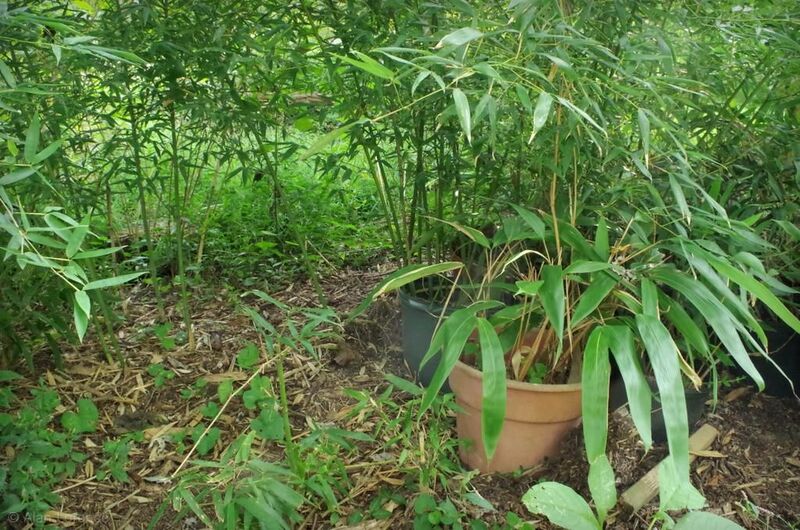 So a lesson to those who keep running bamboo in nursery pots: lift those pots every few months! 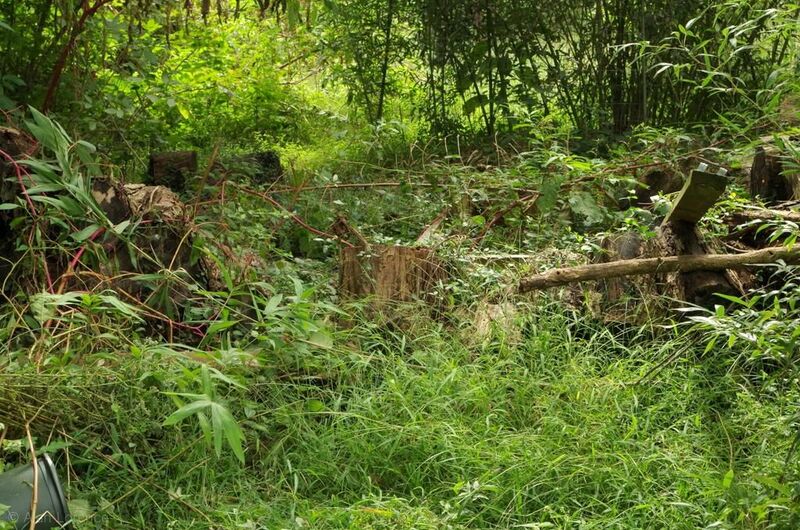 Wow, that is a lot of bamboo. I'd also wait until cooler weather to clear out the other spot. The location is ideal for a neat napping gazebo. What an education Jason got along with his free bamboo! Hey, send Jason my way! 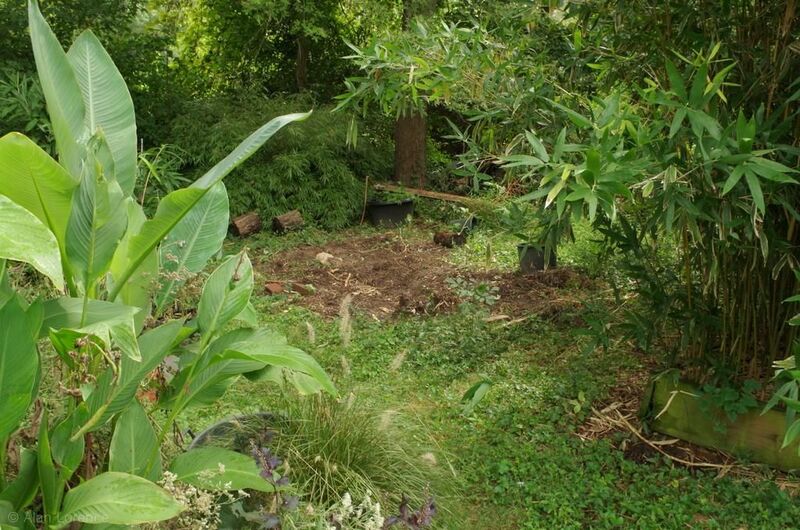 I've got lots of rhizome digging to do and would be delighted to give him as much timber bamboo as he wants! Bit of a commute though. Looks like you both had a fun and productive day. 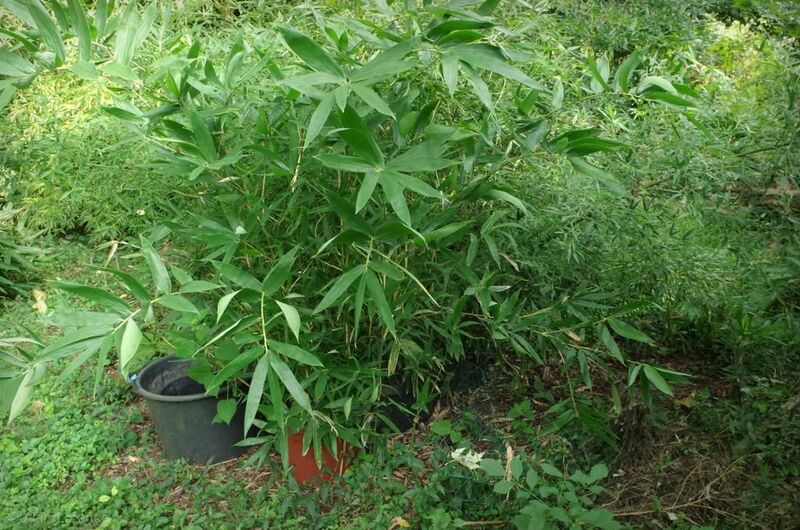 I think I must delve into the world of bamboos. But, they would have to be clumping varieties. 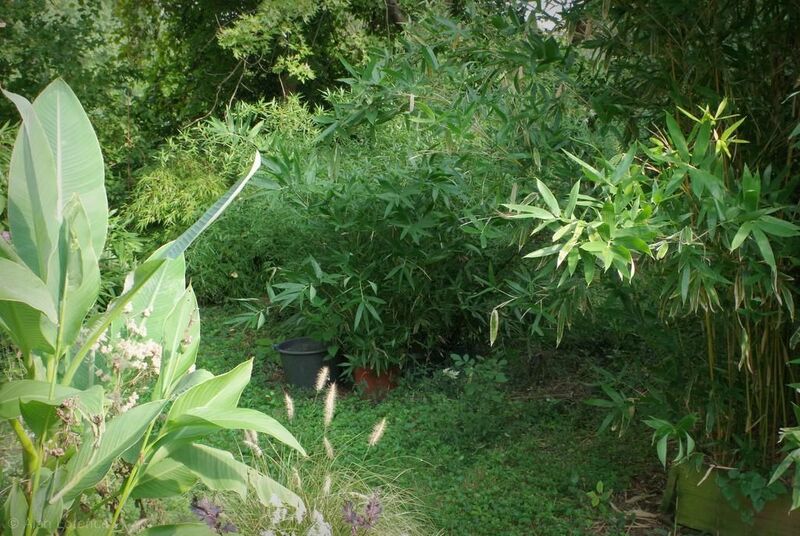 I have a friend whose lot was planted with bamboo as a screen. I am the lucky recipient of some of those canes for garden projects. They look great painted. A great lesson that extends to other plants as well, as I've learned many times over the years. Yup. 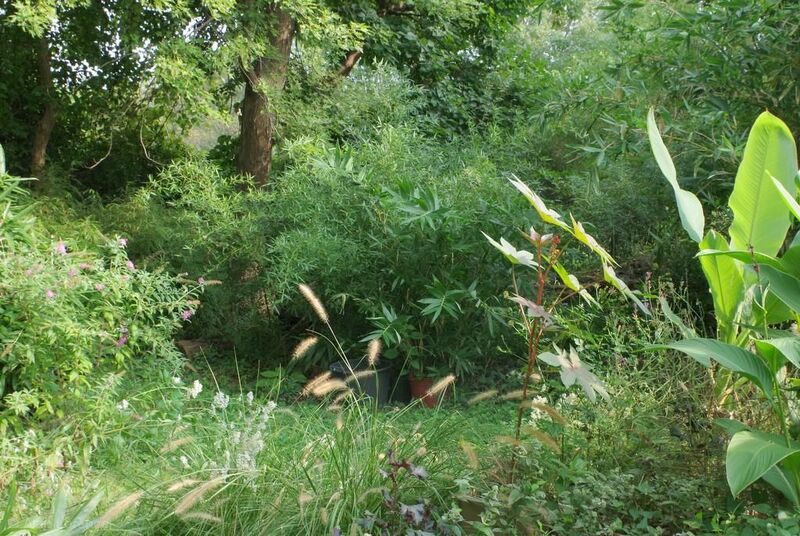 No bamboo here, but I've had my share of wanderers and escapees. It pays to pay attention! My experience is that just when you think the bamboo won't get to aggressively, it really takes hold. It is a gorgeous plant, but oh so much work to keep it under control.